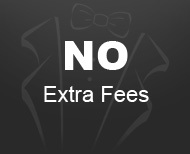 At DuBois, we want you to get the best deal possible on your tuxedos. For this reason, we will beat ALL competitor pricing, and we honor ALL competitor coupons and deposits. See stores for more details. 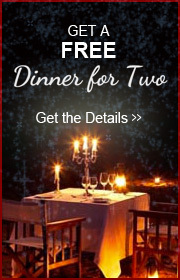 No extra fees for anything! 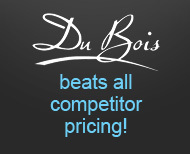 At DuBois, we don't charge extra fees for anything! You won't be surprised at check-out when you find out your total. No extra fees for changes! Not positive on your styles? At DuBois, we'll let you change your styles and colors anytime for NO CHARGE! You can add a person to your party, subtract a person, and you won't be charged a dime. Save headaches, save money, and look how you want to look!